‘OIREACHTAS NA GAEILGE’ is ea ceiliúradh bliantúil ar ealaín dúchasach na hÉireann. Bíonn comórtais éagsúil ar siúl idir rince ar an sean-nós, agallaimh beirte, lúibíní, ceol agus gan dabht amhránaíocht ar an sean-nós. An buaic phointe don Oireachtas is ea ‘Corn Uí Riada’ comórtas amhránaíochta ar an sean-nós, is comórtas é atá án éileamh ar agus bíonn ár gcairde Gaelach ar fuaid na cruinne ag éisteacht leis beo ar Raidió na Gaeltachta. Tá sé éagsúil uaidh Fleadh cheoil na hÉireann, mar gur I nGaeilge ar fad a ritear na comórtais. 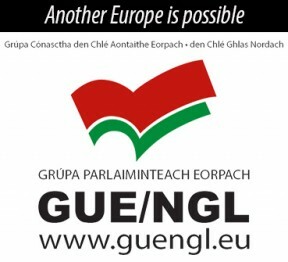 Bíonn cruinniú bliantúil ag a lán eagrais Gaeilge cosúil le Údarás na Gaeltachta, Foras Na Gaeilge, Conradh Na Gaeilge agus a leithéid. I mbliana don chéad uair riamh, beidh lucht Gaeilge Shinn Féin ag freastal ar an ócáid iontach seo. Beidh cruinniú inmheánach le Gaeilgeoirí an pháirtí a reáchtáil agus ina dhiaidh an chruinniú sin, beidh ócáid speisialta ar bun. An ócáid seo is ea an seoladh oifigiúil do leathanach Gaeilge (Facebook) nua atá ar bun ag an t-oifigeach Náisiúnta Gaeilge, Liadh Ní Riada. ‘An Cabaire’ a tá mar ainm ar an leathanach Facebook seo agus beidh Uachtarán an Pháirtí Gearóid Mac Ádhaimh TD ag déanamh an seoladh oifigiúil. “An Cabaire is ea spas a chruthaíodh mar acmhainn dóibh siúd go bhfuil suim acu I nGaeilge agus áit gur féidir le daoine caidreamh as Gaeilge,” arsa Ní Riada. Beidh seimineár poiblí á reáchtáil díreach I ndiaidh seoladh ‘An Cabaire’ ina mbeidh ‘Todhchaí na Gaeilge’ mar théama air. Is é Páidí Ó Lionáird a bheidh mar chathaoirleach ar painéal do chainteoirí cumasach agus is cinnte go mbeidh díospóireacht agus caidreamh inspioráideach ar siúl. Is ócáid poiblí é an seoladh agus an seimineár agus tá fáilte roimh cách chuige. Mar sin, coimeád an dáta saor - is féidir Deire Seachtain a dhéanamh as agus teacht chuig Leitir Cheannainn ar an 2ú lá do mhí na Samhna @ 2:30pm in Óstán Mount Errigal. 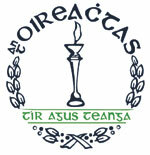 ‘OIREACHTAS NA GAEILGE’ is an annual celebration of Ireland’s traditional arts. Various competitions are held between sean-nós dancing, lúibíní, agallaimh beirte, music and, of course, sean- nós singing. One of the highlights of the Oireachtas is ‘Corn Uí Riada’ which is the main sean-nós singing contest, it is very popular and many of our Irish friends throughout the globe listen to the live event on Radio na Gaeltachta. 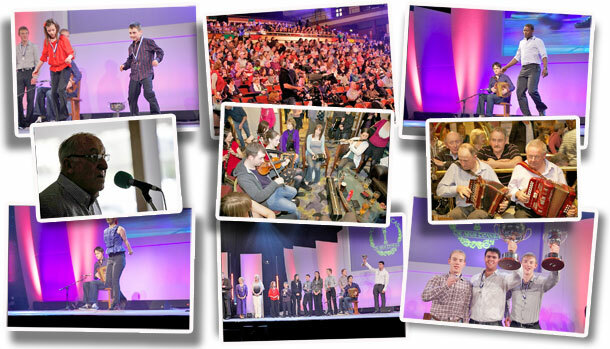 It is different from Fleadh Cheoil na hÉireann as all the events are done through Gaeilge. The main Irish organisations such as Údarás na Gaeltachta, Foras na Gaeilge, Conradh na Gaeilge and more besides hold an annual meeting at An tOireachtas and this year, for the first time, the Sinn Féin Gaeilgeoirí and committees will attend this great event. We will be having an internal meeting with the Irish-language committees of the party to discuss future strategies and policies regarding Gaeilge. After this historical event, there will be an official launch of the new Irish Language Facebook page set up by the National Irish Language Officer Liadh Ní Riada. 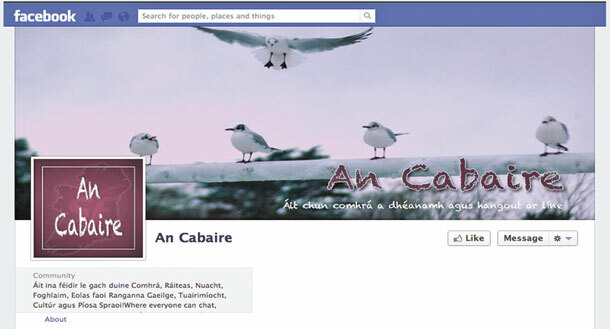 ‘An Cabaire’ is the name of this Facebook page and Gerry Adams will do the official launch. ‘An Cabaire’ is a social network specifically created as a resource for people who are interested in our language. “It is a space for people to hang out as Gaeilge,” says Ní Riada. There will also be a public seminar on ‘The Future of Irish’ immediately after the launch of ‘An Cabaire’. The seminar will be chaired by popular television presenter Páidí Ó Lionáird and with the panel of talented speakers we expect a spirited debate. The seminar and the launch are open to the public and everyone is welcome: Letterkenny, 2 November, at 2:30pm in the Mount Errigal Hotel.